You have heard that many people are starting to make money from home or from anywhere, and you would like to learn more about how does Affiliate Marketing work. More and more people nowadays are starting to write a blog with the idea to monetize it and make a living from it. I must say that sounds like a good idea. 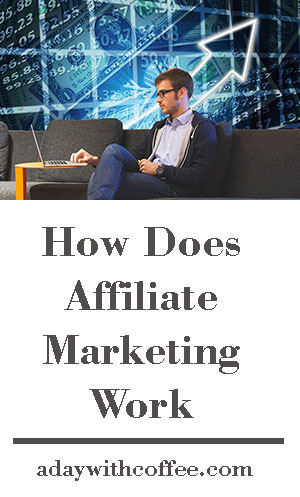 Writing a blog on a topic you love to talk about, and helping people to live better, so now you have a good idea about what is this of blogging, and make some money from it, so let’s talk about what exactly is Affiliate Marketing and how it works. Start taking the FREE Affiliate Marketer training course today! Easy steps to learn how Affiliate Marketing works. You need to find a product on the topic (niche) you love to talk about, and you know to help people live better or to solve a problem, this product should have an affiliate program. On your own website you’ll be writing content about this product and when your followers or readers find your website and read your content, you’ll send them to the affiliate program website. When the people you send to the affiliate program website make a purchase, you get a percentage commission on that sale! From this I can say Affiliate Marketing is about earning a commission from promoting other people’s products, but you only get this commission when the people you send to that website takes action to purchase the product after they clicked on the link on your website. Many companies offer affiliate programs so people like you and me can join these programs to promote their products on our websites, referring traffic to their websites to take action like to purchase a product or signing up to a program. 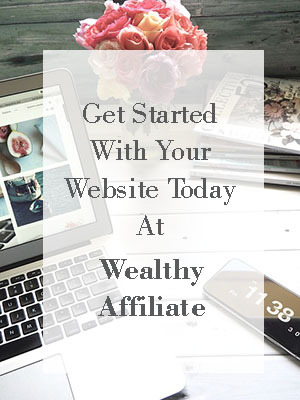 As you start your own website to promote other companies products, you will sign up to those companies affiliate programs like Amazon, Walmart, and others. After you become an affiliate associate, these companies will provide you with affiliate links so you can promote their products from your website. 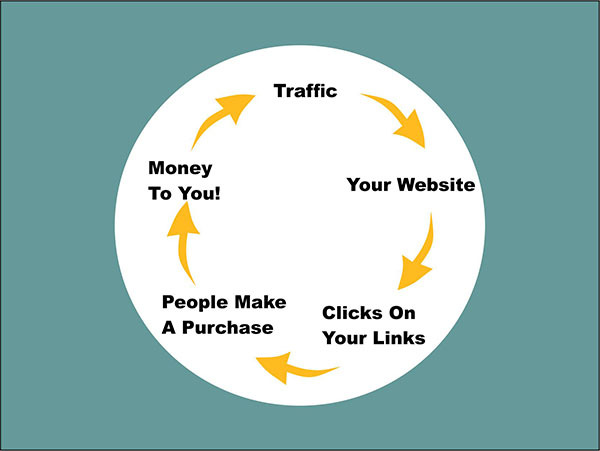 Your job is to create content for your website to promote your affiliate links. So now you know, this affiliate marketing business might look really like a good opportunity to start working on it, but before you jump in to create your own website and promote affiliate program products, lets talk about what do you need to start working on it. An Affiliate Marketing website is not a “just create a button business” and you’ll be making tons of money from it, No! you will need to work a lot on it, many hours and you will need to work on your website day after day for some time before you can see your first dollar. If you have the idea to create a business where you can just add a few buttons and then forget about it, then Affiliate Marketing is not a good idea for you to work on. 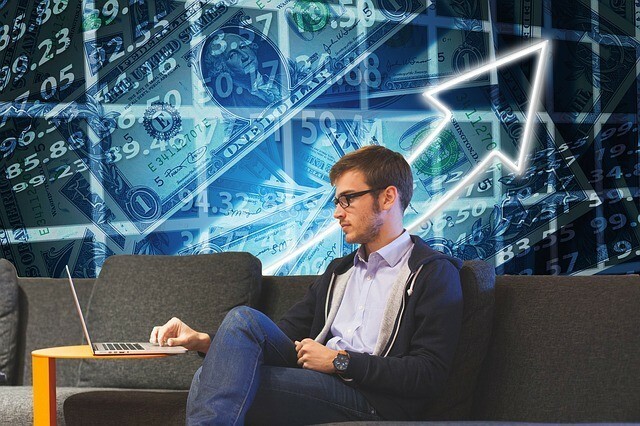 But if you understand the idea and you’re willing to learn how it works, and you’re willing to work on it hard, then you might become a good affiliate marketer and before you notice you’ll be seeing your first dollar! So I’m happy you get the idea that you’ll be working on your website to promote affiliate programs day after day, so you don’t get frustrated and quit after the first 3 months just because you didn’t make any money at all. You might need to work on your website for over one or two years before you start making a steady income from it. It takes time to build an affiliate marketing website before you start seeing good results from it. The only reason why an affiliate business doesn’t work is because people don’t put enough work on it and most of them get discouraged before it starts to work. Any website that use affiliate marketing to be monetized needs time and work. How does an Affliate Marketing business work? Let’s think you apply for a job, and in the interview they tell you that you’ll be working hard by yourself from your home, you’ll have some goals to achieve and task to do every day, at least 10 to 20 hours per week. You’ll be working from your place, and you will have no more work mates to chat with or to give you a hand with the work, by the end of six months you need to finish all the work you had to do to achieve your goals, during that time you won’t get any pay at all! How does that sounds? Not good? Well, that is exactly how it sounds to work on your own to build up a website with Affiliate Marketing, you will be working on it day after day by yourself, and you’ll have a long list of task to work to achieve your goals. By the end of the sixth month, if you did all your task right, you might start to see some results, I must say it, the first dollar you make with your brand new website will be like the big event you were waiting for! From that point you might see your website getting more traffic and people will be interested to read your content and they will click on your links and they will start purchasing the products you recommend on your website. And the more you keep working on your website adding content for your readers, your website will keep doing better. So, this is the big picture, you can’t expect to own a website with just 10 or 15 post on it and start to do tons of money for you! Success with Affiliate Marketing happens within time and good work! OK, got it, but where do I start? You and me and anyone who wants to start working with an Affiliate Marketing website are so lucky to live in the internet times, in just one click anyone can find tons of information to learn a new skill. You can start learning all you need about Affiliate Marketing and how to build your own website with the same 10 FREE lessons that I did, just click here and all you will need is to create your FREE account to start this online course. ← 5 Holiday Tips For An Affiliate.